No one is ever happy when it comes to non-conference scheduling. Fans want to play top-ranked teams year in and year out, and sadly, that’s just not possible. 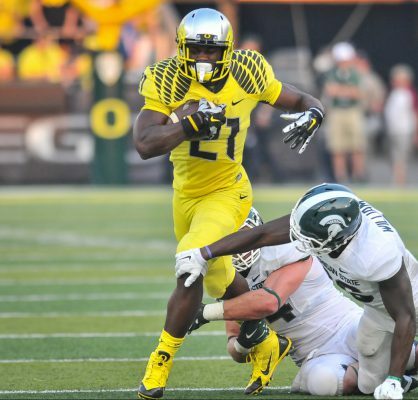 Oregon scored big time when it secured the home and home with Michigan State, adding a key match-up of Top 10 teams early in 2014. Early out of conference games are a win-win for the teams; if you win it’s huge for your resume at the end of the year, and if you lose, there is plenty of time to rebound from the loss and climb back up the polls. Here is a sneak peek at the Ducks’ non-conference games in 2015. Most Duck fans are aware that former Eastern Washington quarterback, Vernon Adams, has decided to transfer to Oregon for one season. But some of you might not know the Ducks actually play EWU in the first game of the year. Eastern Washington has proven it can play with FBS teams in the past; beating Oregon State 49-46 in Corvallis in 2013, and falling to Washington in Seattle in a close game 59-52. But that was with Adams at quarterback. EWU will have no such luck in Eugene. No matter who starts at quarterback for the Ducks, I predict a blowout. Royce Freeman was an impact player last year against MSU. Is a repeat performance on the horizon? This is the biggest game of the non-conference schedule by far, and will be one of the biggest games for the Ducks in 2015. Michigan State only lost two games last season, and they came to the two teams who played in the national championship game — Oregon and Ohio State. MSU had a great football team, and had Oregon trailing until Marcus Mariota took over the game last year, so this game will be a big test for the Oregon football moving on without its Heisman winner. Also, this is the furthest the Ducks have traveled since going to Knoxville to play Tennessee in 2010. If the Ducks are going to get a win on the road, Royce Freeman and company will need to lead the way for the new starting quarterback. Georgia State made the jump to the FBS level just two years ago, and has won only one game since. 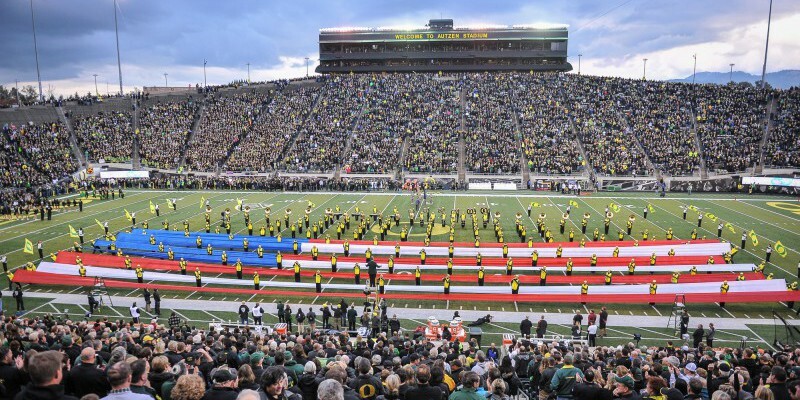 The Panthers will be no competition for the Ducks in Autzen Stadium, and this will be no more than a final tune-up game before Pac-12 play starts the following week against Utah in Eugene. At worst, the Ducks should be 2-1 entering league play; with their only loss coming out of conference to a Top 10 football team. Win or lose in East Lansing, the Ducks will be chasing another Pac-12 title this year and should be the clear favorite out of the North division. Another national title appearance isn’t completely out of the question either, as Darron Thomas led us to the title game in his first season as a starter. So maybe, just maybe, it could happen again. One can dream, right? It all starts with non-conference play.